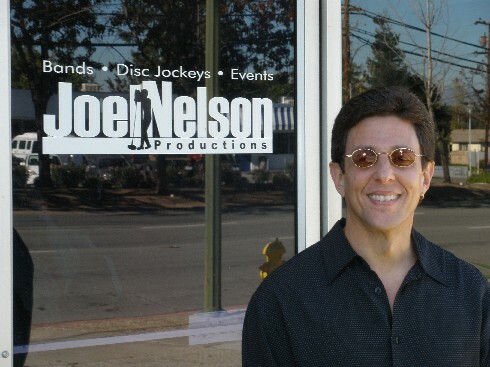 Joel Nelson Productions' DJ Manager Joseph Adato grew up in Los Angeles where he worked as a musician and sales representative for various record distribution companies and labels. He moved to Northern California and quickly entered the DJ field, specializing as a DJ/Emcee in weddings, Bar Mitzvahs, and corporate events. Eventually, Joseph became an agent in Santa Cruz and San Jose, where to date he has successfully managed over 5000 events. Joseph prides himself on Customer Care. "My clients' satisfaction is my only goal. We have no ego here; it is just about getting the job done in the most effective way possible. I am here for your event from start to finish!" Away from the office, Joseph is a gigging bass player for the SF-based band The Bridge as well as a collector of fine, vintage bass guitars and amplifiers. Call him to discuss your DJ needs.